I’ve only had time to read half of the next Wing Commander book so in the meanwhile I’ll briefly mention the next Quest For Clues book. 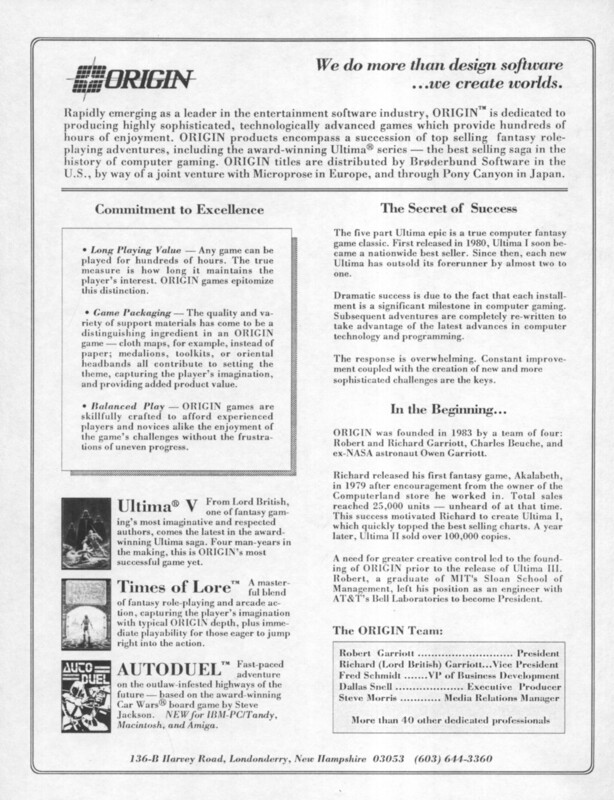 This was published in 1989 by Origin and is once again a collection of game walkthroughs contributed by Questbusters members. This time there is no introduction with a history of adventure games or the like so it’s more or less all game solutions and nothing else. You did get a free 3 month Questbusters subscription with the book but it wasn’t much use by the time I bought it. All the solutions in the book are shown above on the back cover. Without any padding there are a stack of solutions in here for games you would struggle to find hints for elsewhere like Tangled Tales. This makes it still potentially useful but without any additional content, it’s less interesting for me as a collector than the first book. Of minor interest, I noticed that one of the solutions was contributed by Randy Sluganski, who has to be the same guy who writes articles at the Just Adventure (http://www.justadventure.com) website. There isn’t a whole lot else to say about this one. I won’t bother scanning in anything from this book but if anyone wants one of the solutions to any of these games, post a comment and I’ll add it to the post. 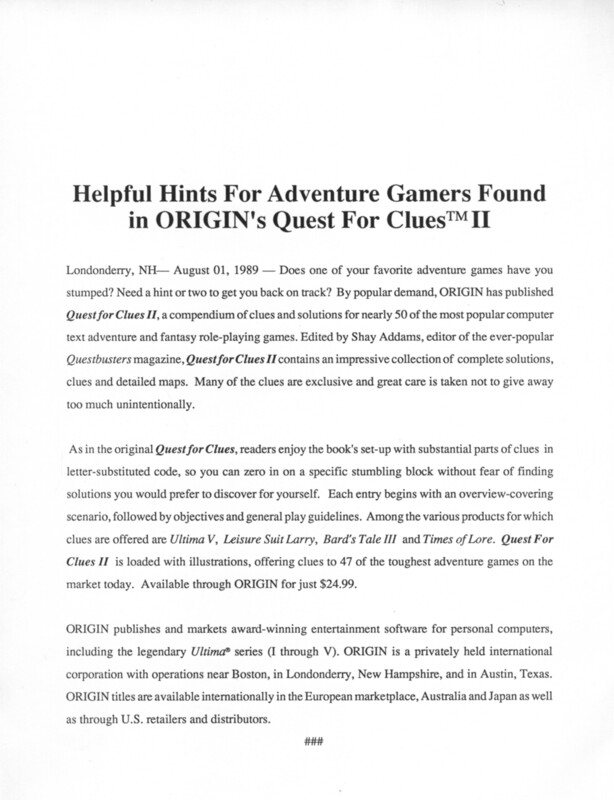 On the subject of Questbusters, Terek Nor mentioned a great website over at http://questbusters3.yolasite.com which has scans of many of the Questbusters newsletters with game reviews and walkthroughs. It’s a fantastic resource for anyone interested in early RPG’s and adventure games.